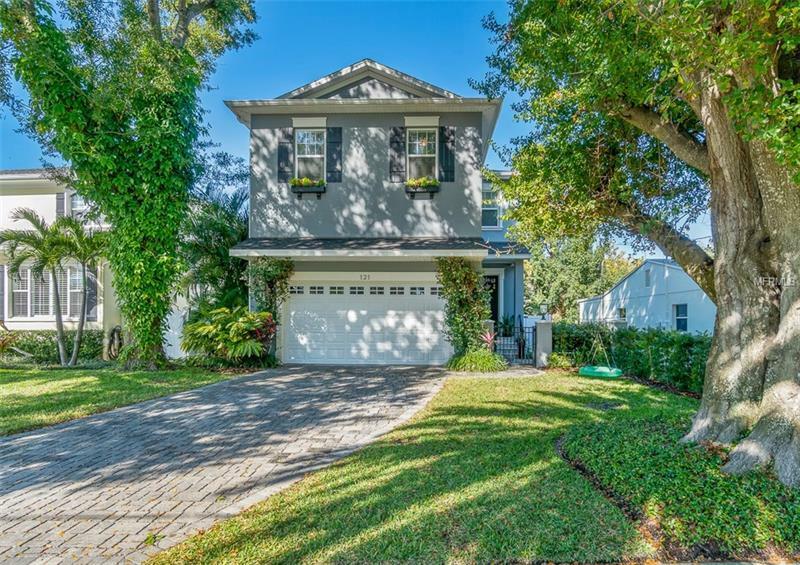 121 Biscayne Avenue, Tampa, FL.| MLS# T3149341 | Westchase Real Estate - Westchase FL Homes For Sale - Westchase Local Experts. Rare opportunity to live in a luxury custom built home on Davis Islands! This 2012 built home has everything you've come to expect from Devonshire Custom Homes. 10' ceilings, all block construction, beautiful curb appeal and outdoor living space, and custom built-ins, just to name a few. From the moment you walk through the beautiful gated entrance and into the home, you will feel the craftsmanship and quality. The open floorplan design with wide plank hand scraped wood floors flows through the first floor foyer and den into the gourmet kitchen, which includes stainless steel appliances, gas range, granite counters, glass front upper cabinets and walk in pantry with a beautiful center island. Head out back to your private oasis backyard with lush tropical landscaping, beautiful pool with sun shelf, outdoor grill area complete with The Big Green Egg and a super comfortable lanai perfect for taking it all in. Upstairs, you'll find four spacious bedrooms. The gorgeous master includes a generously sized walk in closet with custom built-ins, sure to please the most organized homeowner. The master bathroom includes a bright and beautiful shower and stand alone soaking tub, along with dual vanities and a water closet. Great location on the islands, just a few blocks away from the shops, restaurants & community playground. A-rated school districts Gorrie/Wilson/Plant! And just minutes to downtown and the Riverwalk! ASK ABOUT CLOSING COST INCENTIVES! !